Be ready to look sleek and stylish. 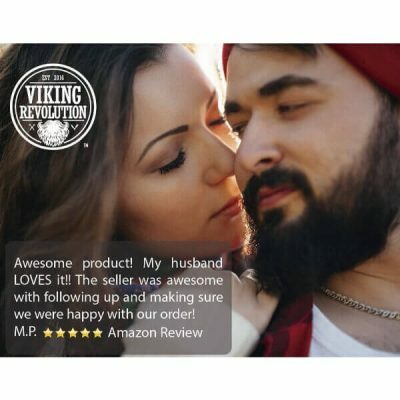 Tame stubborn facial hair with Viking Revolution Beard Oil Conditioner. 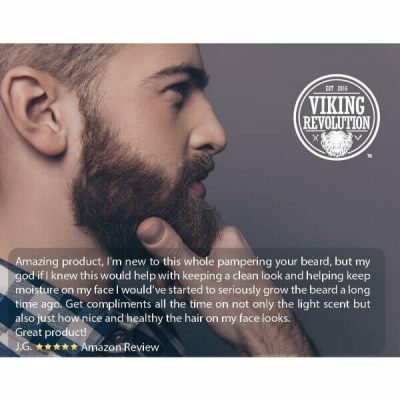 Get smooth and frizz-free beard that is soft and smooth to the touch. It makes facial hair shiny and easy to manage. Soothe itchiness and get rid of beardruff with this facial hair conditioner. 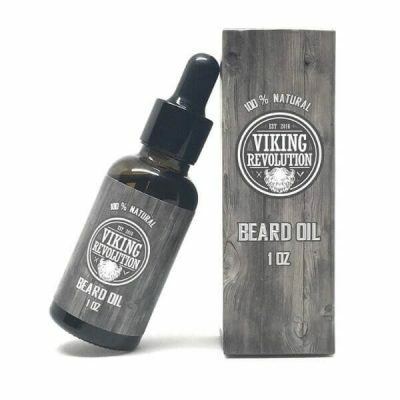 A few drops of Viking Revolution Beard Oil Conditioner moisturizes beard and the skin underneath. It conditions beard for long-lasting moisture. The beard oil helps restore the thick and smooth texture of hair to make it softer. Apply the conditioner after shower to prevent frizz and tangles on facial hair. Use as a leave-in conditioner to keep facial hair manageable. 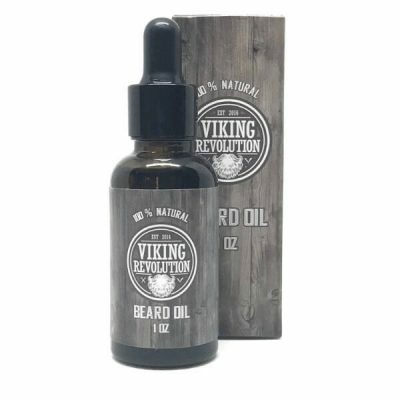 It keeps beard healthy and resilient against damage as well. One of the issues with frizzy and rough facial hair is that it lacks moisture and nourishment. Rough hair is hard to style and often develops tangles and knots. Unkempt facial hair can collect flakes and dirt. This leads to itchiness and irritation. Stop it before it happens! 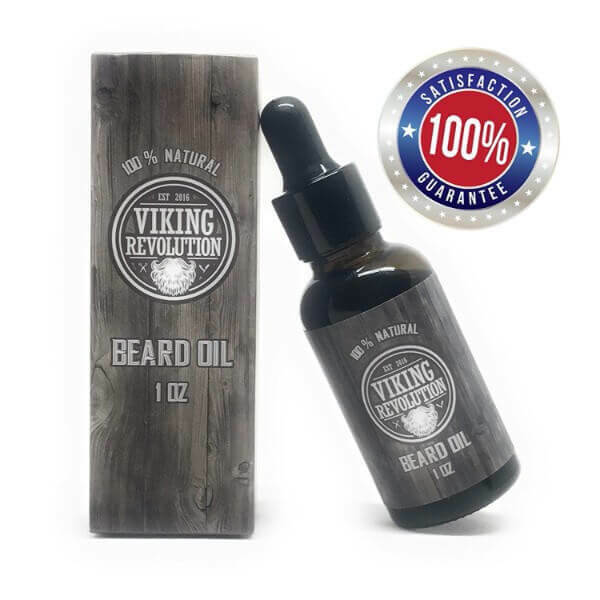 Use Viking Revolution beard oil to nourish facial hair. 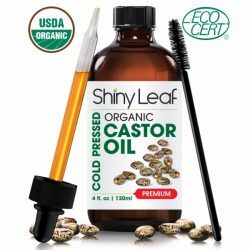 It is made from a perfect blend of organic Argan oil and jojoba oil – two ingredients that are very nourishing for hair. 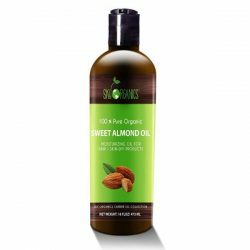 Argan oil delivers essential fatty acids that retain moisture on strands for a long time. It also contains antioxidants that prevent hair damage. Jojoba oil, on the other hand, helps promote healthy and strong growth of hair strands. 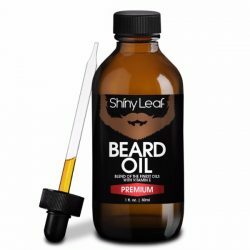 It prevents patchiness in beards. 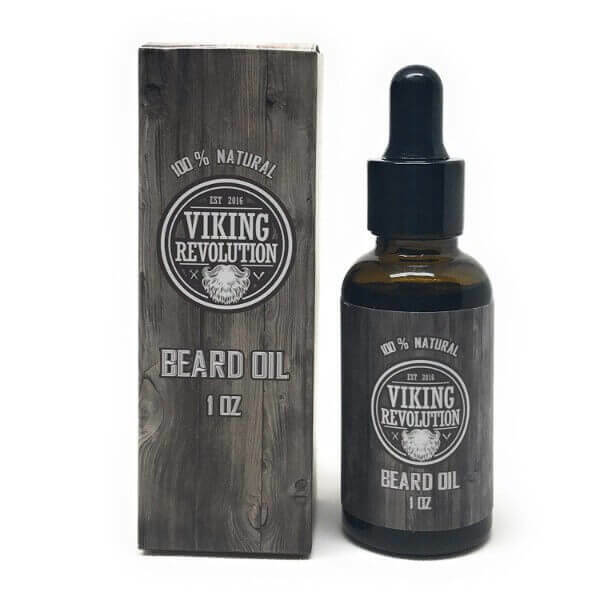 These two oils hydrate the beard and soothes the skin beneath. Viking Revolution Beard Oil Conditioner does not have a scent, which makes it perfect for men who prefer to use their own fragrances. Use it alone or mix a few drops of essential oils to give the oil a desired scent. Get ready to conquer the day with a sleek beard! 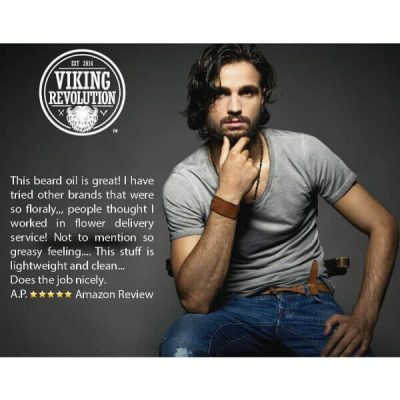 Gives facial hair a soft and smooth texture. Conditions beard for long-lasting moisture. Soothes itchy skin and irritated skin. Made from all-natural essential oils. For external use only. Use daily to get great results. After shower, put a few drops on palms. Apply to facial hair starting from beards. Smooth facial hair in an upwards motion from the neck to the chin. Apply next to sideburns, cheek line, and jawline. Use a few drops and apply to mustache using fingertips. Style as preferred.